The Community Sport Hub project is an exciting and innovative approach to the development of sport in local communities. Community Sports Hubs are a key part of sportscotland’s contribution to legacy 2014. The project is delivered locally by High Life Highland. It aims to bring together all the key partners involved in sport to create a joint approach to its development which will lead to an increase in participation levels locally. The project has a particular focus on supporting Community Sport Clubs to deliver quality sports and physical activity opportunities to the whole community. The development of Community Sport Hubs got underway in 2012, we now have hubs established in a twelve Highland communities. 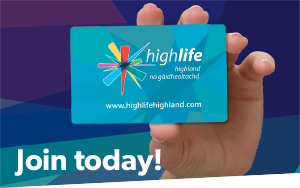 Encourage a more coordinated approach to the development of sport and physical activity within Highland Communities. Investigate if the sport and physical activity opportunities are meeting the local need. Provide a forum for all local sports clubs and partners to meet, share good practice, information and exchange ideas. Support our local Community Clubs to deliver quality sports provision. Collectively increase the quality and amount of sporting and physical activity opportunities within our local communities and increase participation levels. Create a package of quality sport and physical activity opportunities that is well promoted, easily accessible and caters for all within the community.